What began as a hobby, the posting comments on Facebook, soon transitioned into writing full length travelogues and variety of other posts for family and friends. 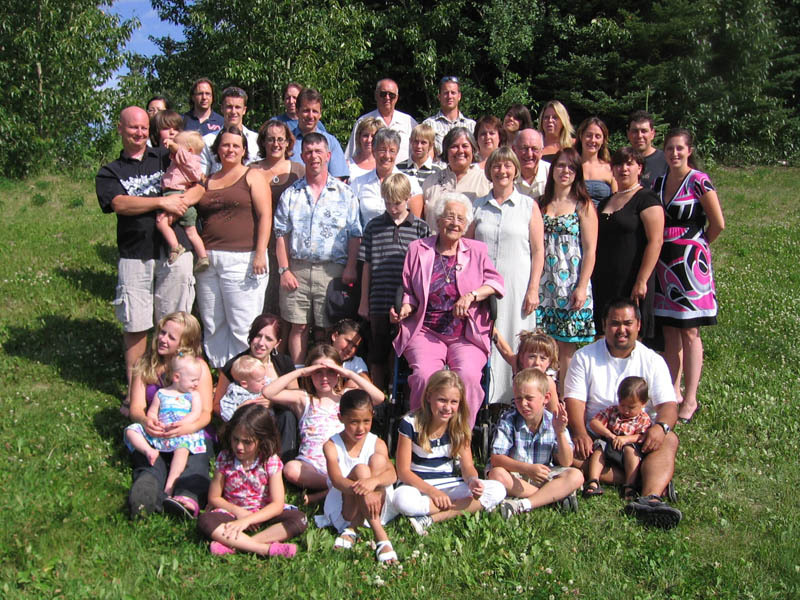 An interest in writing the family history stories gained momentum in 2008 with the passing of our mother, Laura Isabel Skarsen who, even at the age of 90, loved to reminisce about the early years of her family. It seemed a shame to let her stories disappear into the mists of time. Once that task was well under way it was only natural to begin writing stories about other family, friends and workmates who became involved in interesting life situations. As documenting these life stories became wider ranging, it became increasingly difficult to post, link and index the stories on Facebook. Development of this blog was a natural outcome. While the blog currently has a good representation of stories in a variety of areas, dozens of other stories remain works in progress. After five years of writing, and as we proceed through 2013, the posts have expanded into many of areas including Editorials on current affairs. If you enjoy some of the story lines, please pass along the link to your family and friends. My Facebook Homepage, Facebook Group Page, Twitter, Mail Chimp and other methods will be used to provide periodic notifications of new story lines being posted. While I was going to use Flicker for posting family, travel and general interest photos over the next few years, I found Facebook Group Page better serves the purpose. As their is now over 225 posts on the McNeill Life Stories Blog, and full index is currently in progress and should be completed by the end of October 2014. I am still experiencing a number of technical challenges as I learn to manage a blog, but am slowly working through those challenges. If you run across an issue please send me an email with a suggestion. Your assistance would be much appreciated. Finally, a word on writing. Writing family and life stories, travelogues and editorials is something that is new for me and I am working hard to improve both the content and style. This is a slow process, but thanks to others who continue to prod me along the path, I look forward to making progress. Also, thank you to the many friends who have engaged in off-line conversations. The discussions certainly help me to clarify my own thinking on a number of subjects, it also provides considerable material for more posts. While Lynn and I have done only a modest amount of world travel, on those treks we have enjoyed taking photos and posting stories about our experiences on Facebook. Whether in a small motor home in the Australian outback or backpacking across Europe you may find something of interest when planning your own travels. Go to: (Travelogue Index Link) She also Guests Posts comments below. As of 2014, I have pretty much stopped writing in this area, as it is time consuming and there of other topics of greater interest that have captured my imagination. Over the years I have received several documents containing poetry, short stories and other works from family and friends. These collected works will be posted in this section. (Guest Posts Link) As of 2014, my sister Dianne McNeill began to write a number of posts about her travels and adventures. She has a real knack and to this point has been posting only on her regular Facebook Page. As time permits more of her travel adventure stories will be added to a special section of the blog. The Home Page provides a short introduction to the current Top Stories and others that have been brought forward as a result of ongoing interest. Story Categories appear on the left. Click a category to access a particular group. The most recent 25 stories is listed just below the categories. A full Index to all stories will be complete by the end of October, 2014. In addition to the Index, stories written in chronological order (e.g. McNeill Family 1941 – 1965) will have internal links connecting the Next Story, Last Story and a Link to the Index. The “Search Box”, searches names, places and other words throughout the entire blog. For example, seaching “Aunt Pat” will bring up all stories in which her name appears. Tags: Clicking on a tag name will bring up the names of stories in which the person ha been ‘tagged”. Sharing: Stories can be shared through your social network site by clicking on the icon (Facebook, Digg, Delicious, Reddit, StumbleUpon, MySpace, Technorati and Twitter. Comments can be made at your leisure.